Looking for private in-home or in-studio Cello lessons? Our Nazareth teachers are ready to get you started. Find your teacher today! Check out some of our most popular teachers near Nazareth, PA including Princeton, Philadelphia, Trenton, Morristown and Pennington. I have played in a variety of musicals and various college orchestras and chamber groups. Because of my approach to music I don't consider classical my forte but I can still teach any student cellist a great amount about beginning to advanced playing in any style - including classical. I am also comfortable playing a variety of styles on the cello, namely jazz. I only teach beginner and intermediate cello. Catherine is a performer, teacher, and arranger. She has performed in world class venues such as Weill Recital Hall in Carnegie Hall, Merkin Hall, Kosciuszko Foundation, as well as the Museum of Natural History, and she has performed with over thirty different chamber ensembles, including the American String Quartet and the Orpheus Chamber Orchestra. Her career developments are primarily in music, but she also pursues interest in creative writing, journal writing and human rights. She has given many community performances and raised charity funds for organizations such as World Vision, A. G. Rhodes Health & Rehab nursing home, Columbia Hospital, Corpus Christi Church, and InterVarsity Christian Fellowship. her countless opportunities to perform, to participate in event planning, and to experiment with new music and arranging. She grew up participating in her mother's studio recitals at home and enjoys an annual family tradition of organizing and performing Christmas programs at church. One of Catherine's projects during her studies at the Manhattan School of Music was the Symposium Concert Series, which has led her to perform in apartment homes around the city and build a community of young artists. She has made countless arrangements for solo viola and viola with various ensembles which she often performs. Catherine resides in Brooklyn, New York with her husband, Lawrence. She plays on a Raymond J. Melanson viola made in 1987. I'm able to travel to the student's home or teach at my home. Parents are welcome to sit in the lesson. I had a great experience because Catherine is an amazing instructor. She taught lessons with a high degree of professionalism and care. As a novice, I was able to learn a lot because Catherine was patient and attentive to my learning style. My two oldest children (one more advanced in piano than the other) began taking lessons with Catherine just this year. They have both shown significant improvement and love her as an instructor. They also look forward to practicing in between lessons. We could not be happier. Great artist and a teacher. My 6 year old enjoys her lessons and I love her down to earth vibe. 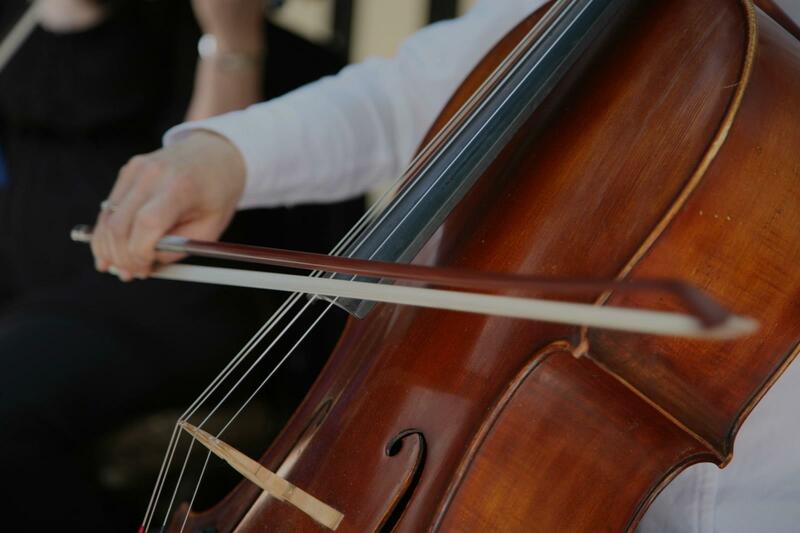 Our cello lessons cover an array of topics from technique to musicality along with establishing the important connections of mind and body to achieve healthy and sustainable cello playing! I approach every student differently and try my utmost best to cater to every student's need. I have years of experience teaching pre-school age cellists to adults! I look forward to helping anyone achieve music and cello goals! Welcome! My name is Rob Meltzer and I am professional cellist, string music educator and conductor in the DC Area. I've been playing cello for over 20 years and I have taught various age groups in public school and private studio settings for almost 10 years in Indiana, Philadelphia and Washington DC areas. I hold a Bachelor of Music Education from DePauw University (2010) and a Masters of Music in String Pedagogy from Temple University. I am certified K-12 instrumental/general music teacher in the state of Virginia. Currently, I am an orchestra director in Fairfax County Public Schools, I perform locally and teach from my home studio in Arlington. we never stop learning! I consider myself a student always learning from my own students! I look forward to offering my musical expertise and experience working with you to grow musically, technically and to reach your goals!! AMAZING TEACHER! VERY CALM PERSON , WITH CLEAR EXPLICATIONS AND SUPER KIND! is easy to see how the special is, and he did that a very dificult experience (like the 1st day lesson in Chelo is) , like if were something easy to learn! He is an awesome tutor, and I learn a lot from this lesson. Unlike my previous tutor, he uses his cello to demonstrate things. I would definitely recommend him to anyone who wants to improve at playing the cello. I appreciated Robert's clear laying out of discussion for expectations, goals, strategies etc. for lessons. He went out of the way to make me feel comfortable and was very attentive to the lesson. While I certainly place emphasis on technical work and mastery, I also want all students to feel comfortable in expressing their individual voice and interests. I believe that it is incredibly important to encourage students to explore a number of creative avenues within music. Therefore, I am very open to having students explore music outside the classical canon in addition to experimenting with improvisation and composition. An additional component of my teaching style is finding unique and interesting ways to keep students motivated and teaching them how to effectively practice and learn on their own. My teaching philosophy is largely centered around the importance of individuality. The “one size fits all” approach is hardly ever adequate--every student has different needs, strengths, and challenges. While I certainly place emphasis on technical work and mastery, I also want all students to feel comfortable in expressing their individual voice and interests. I believe that it is incredibly important to encourage students to explore a number of creative avenues within music. Therefore, I am very open to having students explore music outside the classical canon in addition to experimenting with improvisation and composition. An additional component of my teaching style is finding unique and interesting ways to keep students motivated and teaching them how to effectively practice and learn on their own. teaching is the incredible amount of variety it offers. No two students will ever be the same, meaning I will never teach two students in an identical fashion. The challenge of uniquely tailoring my teaching to the needs and interests of individual students is one that I absolutely love. My studio is a positive, encouraging, and sensitive environment, where I believe every person can begin or continue a life-long journey with music. Please contact me about my private teaching studio in Brooklyn. I welcome students of all levels and ages. Helen is an engaging and inspiring teacher. I recommend her highly! My 10 year old daughter isr excited to have Helen as a cello teacher. Helen is positive and fun and makes playing cello seem really hip and cool. Get a strong technical foundation. Build your repertoire. Prepare for auditions. I've been studying music my whole life. Extensive European study, 8 years in German conservatories, performing, studying, playing competitions in Germany and surrounding countries. Orchestral, chamber music, solo, I've studied closely with over a dozen high-level european cellists but I'm also good with kids, so whether you're looking to master your bow hold or have never even held one in the first place, I've got you covered. udio work whenever I can. It's about time for some cello lessons though, wouldn't you say? Marshall is amazing! He has been working with my middle school son online for 8 months and the growth is phenomenal! My son had his very first lesson in June which consisted of how to hold the cello). By December my son is one of the top Cello players in the advanced orchestra! I was hesitant at first about it being online but it has been the best experience! As a school psychologist I was instantly impressed and amazed at Marshall's instructional techniques and highly recommend him for all levels! Thank you Marshall!! I wanted to improve my piano skills (I'm an actor- it comes in handy). So far, I've had about ten lessons with Marshall at his studio in Topanga, and I'm already so much more confident. We started out reviewing what I knew- scales, arpeggios, etc, and now we are on to full pieces (Chopin, Mozart) and sight-reading skills. Marshall is AWESOME and has a great sense of humor. Super happy to have found him. Having 10 years of experienced cello teaching, I feel very comfortable helping my students understand the foundations of cello technique. I graduated with a Bachelors of Music from the music conservatory Cleveland Institute of Music, and got my Masters in Music from Northwestern University's Bienen School of Music. In addition, I completed a 2 year rigorous Suzuki Technique Pedagogy Program where I am now certified to teach all 10 levels of the cello books. I am confident in explaining any questions a student may have. I love to make practicing a game, so that way we are developing the proper skills but also challenging ourselves while having fun! Even I can understand that practicing can get tiresome and dull at times! I am a professional cellist, skilled in all solo, chamber, and orchestra settings. My playing has invited me into the top ranking music festivals in the world including Tanglewood Music Center, Aspen Music Festival, Music Academy of the West, and many others. These opportunities have led me to perform with the New York Philharmonic. from Northwestern University's Bienen School of Music. There, I studied with one of the most internationally renowned cello professors in the world who has shaped me into the musician I am today. In addition, I got my Suzuki Certification in all 10 levels of cello books after completing a 2 year year rigorous Suzuki pedagogy program. In my second year at Northwestern, I won a fellowship, covering my full tuition and acceptance into The Civic Orchestra of Chicago. This is the apprentice orchestra under the Chicago Symphony. We worked with all the conductors that came in to play with the symphony. Yo Yo Ma, the most famous cellist of all time, is the creative consultant for the Civic Orchestra and we got to work with him 4 or 5 times a year. I have traveled and performed with my string quartet ATLYS representing Lincoln Center in New York City. We have traveled around the world playing crossover music, where we play arrangements of pop, jazz, folk, traditional, rock, indie, alternative, rap, but always return to the forever-beautiful classical quartets, as well. Because of this, I have learned to play extended techniques on the cello and learned different styles of playing, like Celtic gigs and reels and cool jazzy bass lines. I think this is a fun unique quality that I can add to a student's cello development when studying with me. I arrange music for string quartet, too. I think it's important for my students to also learn some basic music theory as it can develop a student's understanding of music at a much deeper level. This can make a student appreciate how a piece is created and where a phrase needs tension or where it needs to be released. It's very important for their musicality. Teacher is wonderful and very responsible! We're lucky to have her! Genevieve taught me the most I’ve ever learned about the cello in a mere two months. Through her I was able to move through an entire Suzuki book while also learning every scale (including chromatic) without using open strings. The techniques she taught me helped further my music that I still use today. Before studying with her I was fourth stand in my high school’s orchestra. By the end of the Summer I was able to achieve first chair and all of the offered solos. Ms. Tabby's the best! I highly recommend her to anyone who loves music and wants to learn how to play the cello. I studied with her for a few years in Chicago and she was the most patient, kind, and dedicated teacher I have ever had. I improved so quickly while taking lessons with her, AND I had fun while doing it. If you're looking for a great teacher with a kind heart and a brilliant mind, look no further! Can't find a teacher in Nazareth, PA? 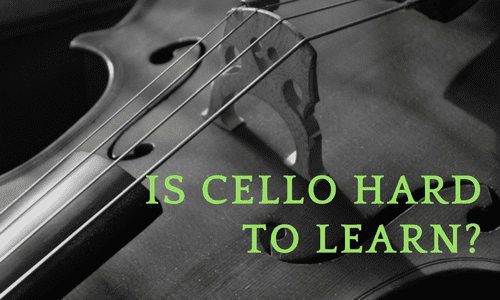 Whether you're just starting out or a seasoned pro, check out the Cello articles on our blog. 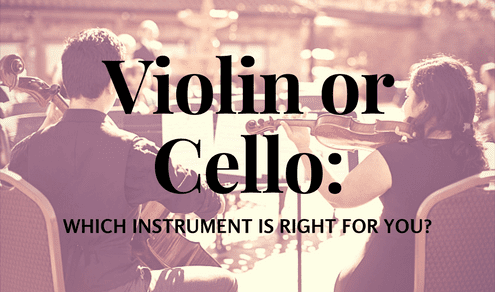 Violin or Cello: Which Instrument Is Right For You?